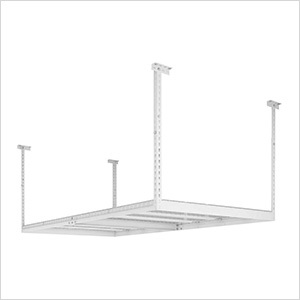 The NewAge overhead storage racks can accommodate up to 600 pounds of evenly distributed weight and are height-adjustable from 27 up to 42 inches. 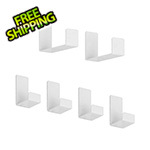 These storage racks also feature two width adjustments for when you need that extra horizontal space - 6' and 8'. 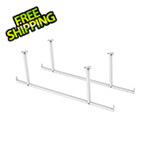 These garage ceiling racks feature a powder-coated paint finish that looks good and offers full protection.